If you would like to know how one of the leading automobile sellers in Europe was able to get 12000 images enhanced and clipped within a short span of time without compromising on the quality or increasing the overall cost of the project with PGBS, read on. The client was one of the leading and most preferred automobile sellers in Europe who has extensive experience in selling vehicles of all kinds, both new and used, to a wide range of clients from diverse social and financial backgrounds. The successful strategic business model used by the client has been lauded across the world and has been used by several other players as well. The client also had the impeccable repute in the market that its name invoked certain level of confidence in the customers. The client required in a month an average of 12000 images to be edited and enhanced, which needed to be uploaded into the website. Each of the images had to be edited in such a way that it improved the overall aesthetic appeal of the image without ever misleading the customers looking at the image. The client wanted to get the first batch of images as quickly as possible and leverage the advantage of time zone. As the client required numerous images edited within the shortest time possible, we had to work on the project with seemingly shorter turnaround periods. The strength of the in-house staff was insufficient to meet such extensive vehicle photo manipulation services requirements of the client. As the client needed to get the images edited faster, they required us to work 24/7 while our image editing professionals only worked for 6 days a week. Having conducted a couple of discussions with the client, we decided to approach the project in a phased manner where we will constantly increase the number of output from time to time as we become more familiar with the expectations of the client without compromising on the quality levels expected. 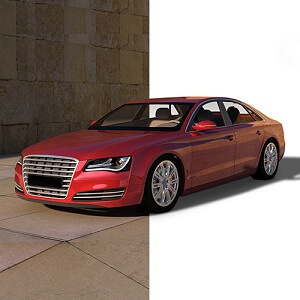 Depending upon the complexity of the image to be edited, we also further divided the project turnaround to 6, 4 and 2 hours when it came to automobile image editing including photo cutout services. As the client needed us to work 24/7, we hired 7 new image editing professionals who worked all days of the week on the project after being trained to offer effective clipping path services. We also improved the capabilities of our infrastructure and utilized only the licensed copies of exceptional image editing creative suits. 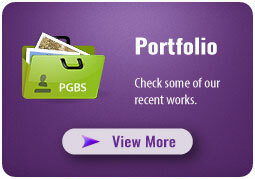 We constantly met the quality requirements of the clients without dragging on the turnaround time. Despite the extensive nature of the project, the client was extremely satisfied with our schedule adherence and project deliverance. As the client was extremely satisfied with the way we executed the project and met all their project deliverables they continue to associate with us Outsourcing most of their image editing services requirements thereafter. Do you have any similar requirements or face any of such challenges? You can take advantage of the extensive photo editing services our photoshop clipping path service company offers. Contact our customer service desk right away.